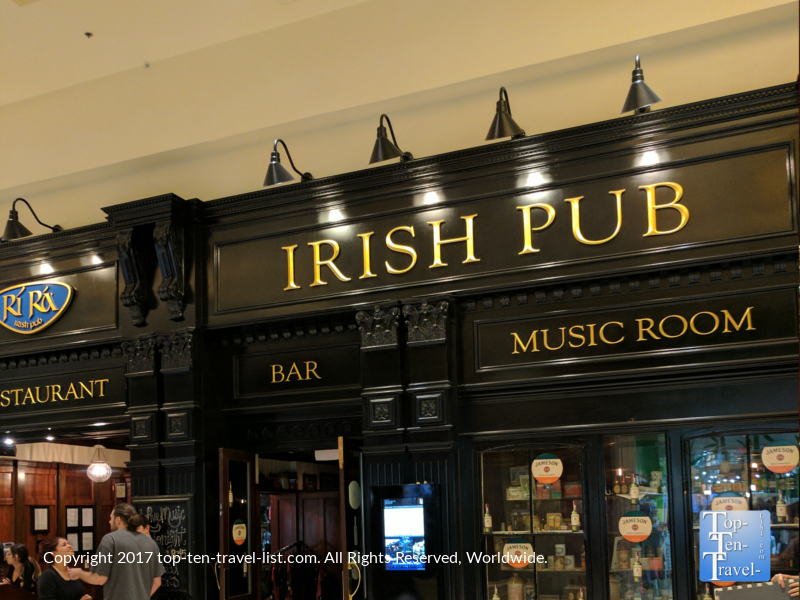 8 Amazing Pubs to Visit this St. Patrick's Day - Top Ten Travel Blog | Our experiences traveling throughout the US. 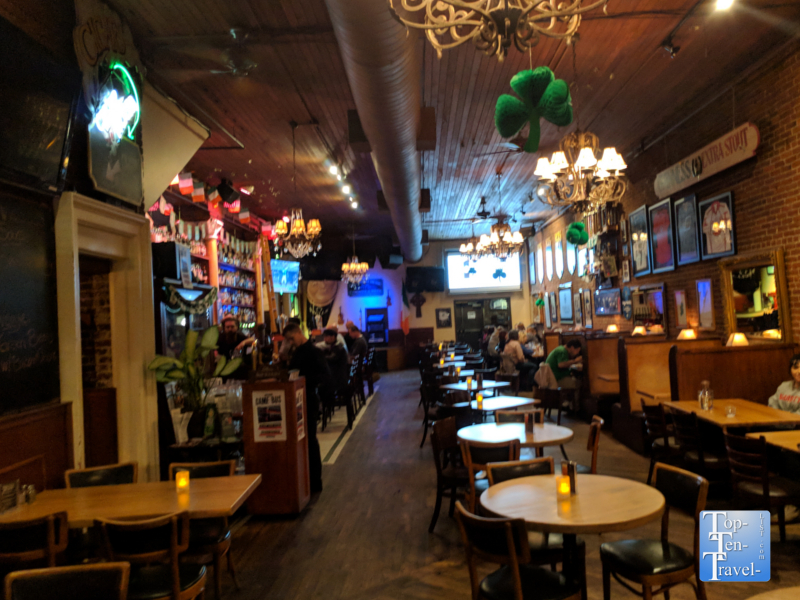 Some of us may only be a wee bit Irish, however, the ambiance and energy of an authentic Irish pub, especially on St. Patrick’s Day, has most of us reaching for a Guinness, green beer, or Fish & Chips this time of year. Parades and Irish cultural festivals continue to dominate the lineup of local events each March. 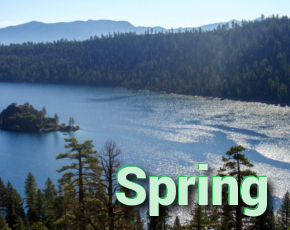 Many residents eagerly await for their city rivers to turn green as a kick off to the annual celebration. Interestingly enough, the first St. Patrick’s day parade was held in Boston in 1737, followed by an official Irish parade in New York in 1766, while Ireland itself did not get into the action until 1903. 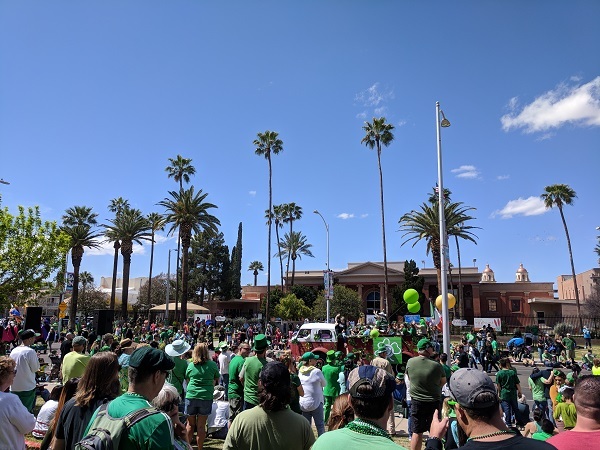 Even Southwestern cities like Tucson put on a spectacular Irish parade! Palm trees & shamrocks! Here are a few fantastic pubs to add to your St. Patrick’s day bucket list. 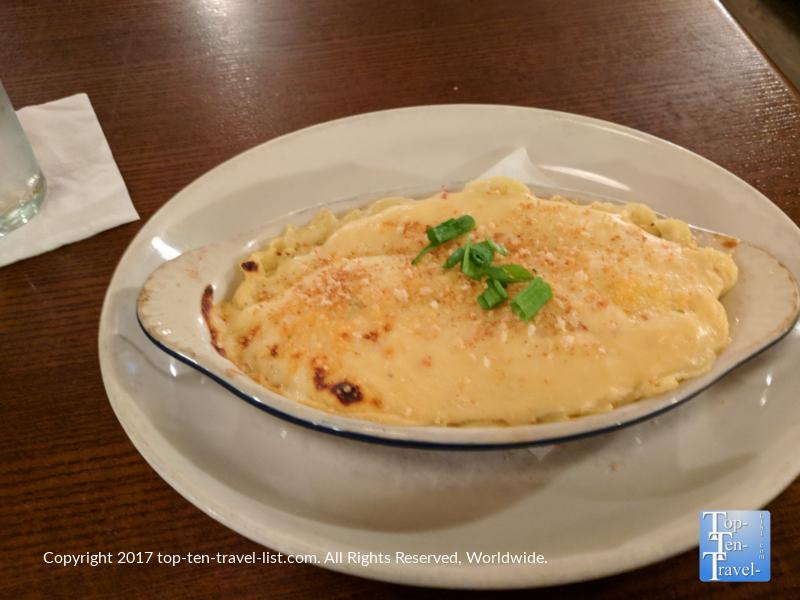 Whether you are craving a traditional Fish and Chips, Shepherd’s Pie, or a pint of Guinness, you will find all the traditional flavors of Ireland and more at all the great pubs featured below. 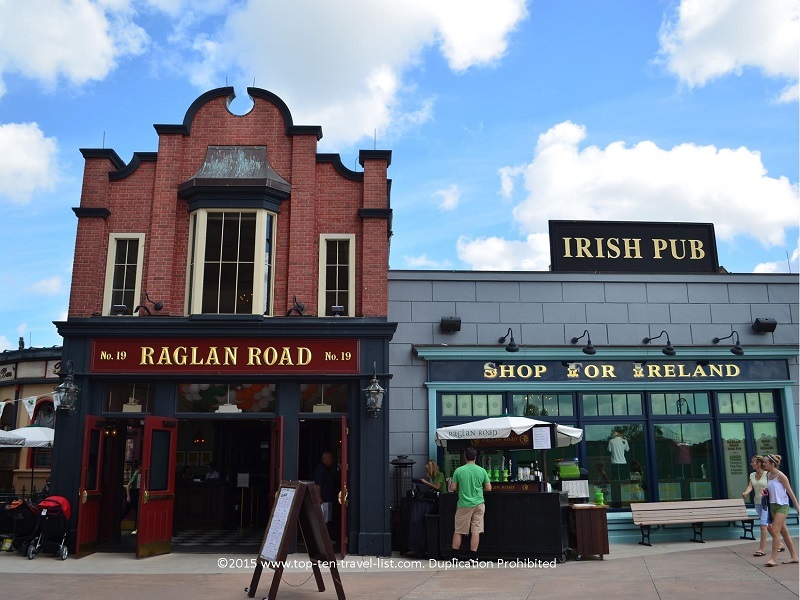 Raglan Road is an amazing Irish pub located at Orlando’s touristy Disney Springs entertainment complex, formerly known as Downtown Disney. 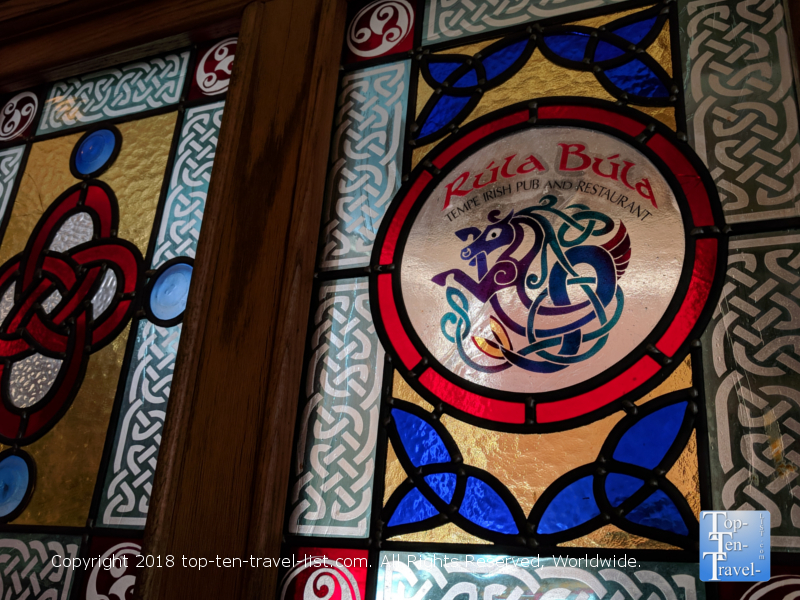 Featuring daily Irish step dancing performances, a huge menu of authentic Irish favorites, and a gorgeous dining room and bar, this is one authentic Irish restaurant not-to-be-missed if you find yourself vacationing in Orlando mid-March. The decor at Raglan Road is completely authentic, right down to the bar which was built in and shipped straight from Ireland. 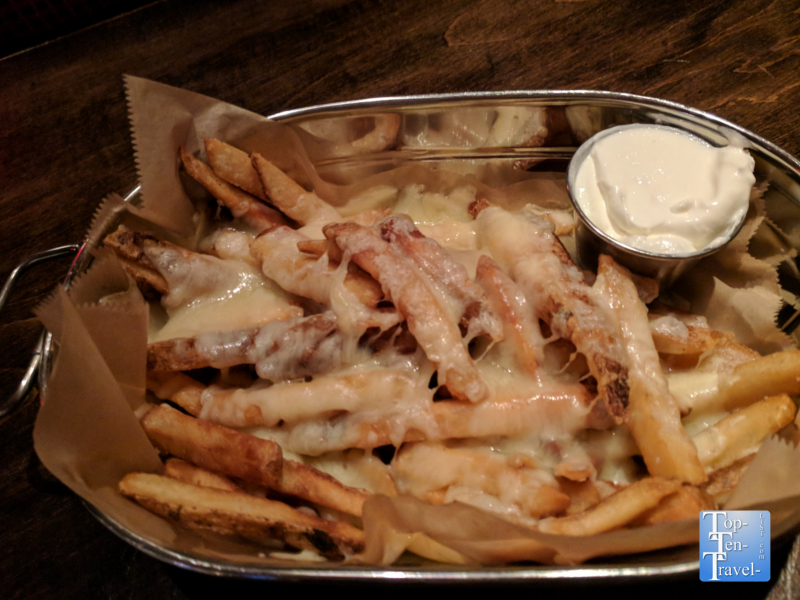 The menu is quite diverse, with traditional Irish fare, a few local specialties, as well as a large selection of vegetarian and gluten-free choices. 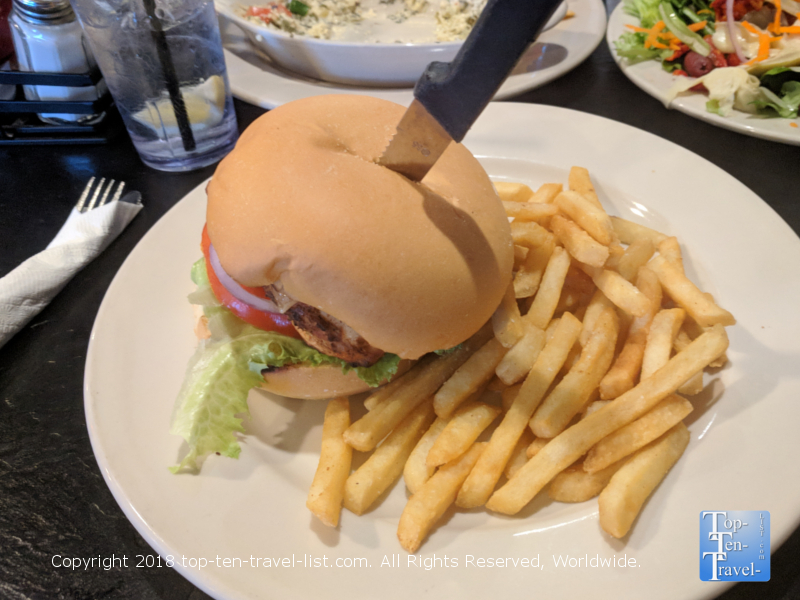 Raglan is known to be one of the best GF choices in the Disney area, with the staff taking great care to avoid cross contamination. Where else can you enjoy GF fish and chips?! 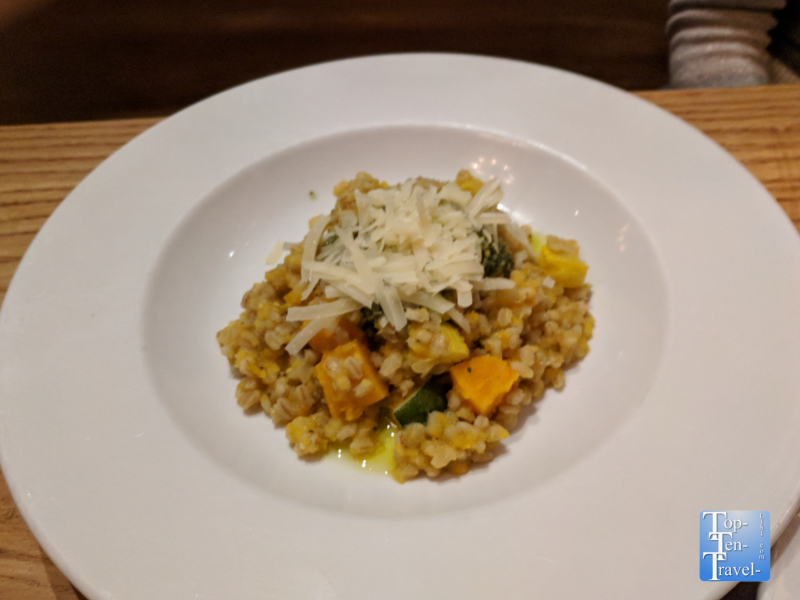 Butternut Squash risotto – an excellent vegetarian entree! 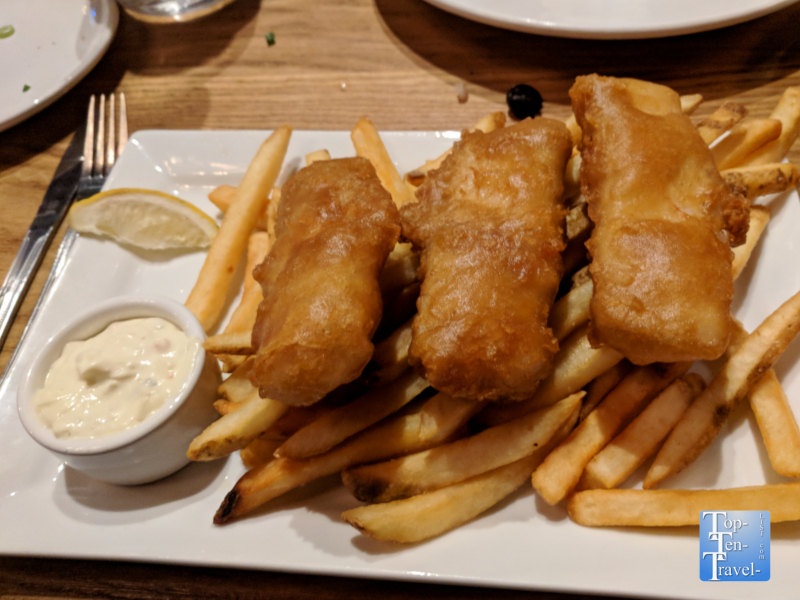 Gluten free Fish and Chips – a rare & delicious find! The best part of visiting Raglan is being treated to an incredible step dancing performance. The talented award winning dancers and musicians from Ireland put on a spectacular show several times per day. And, if you are lucky enough to visit Orlando over St. Patrick’s weekend, you will find a whole lineup of festivities all weekend long. 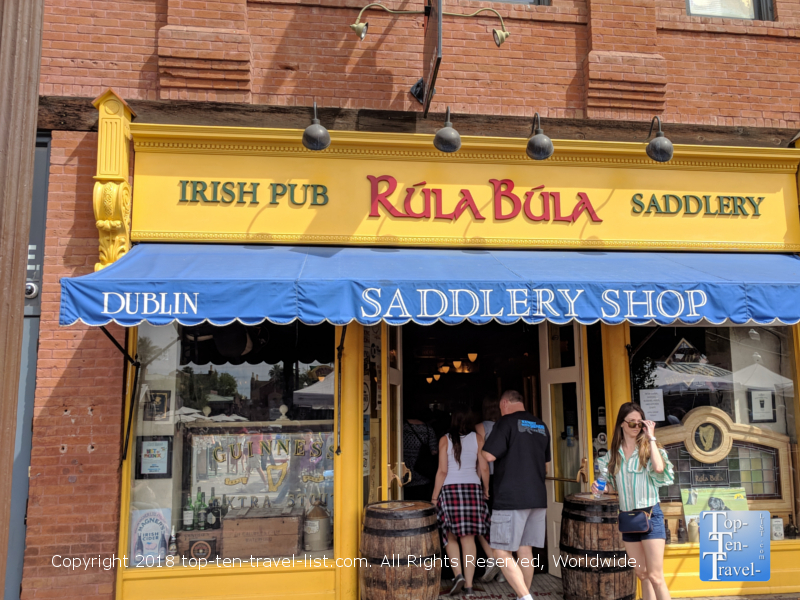 Rula Bula is a popular Irish pub and restaurant located on the lively Mill Avenue district of Tempe, Arizona. This touristy street is loaded with restaurants, bars, and various entertainment offerings – basically it’s a fun place to cool off for a while when you tire of the heat. Rula Bula, located in the historic Andre building, is cozy and traditional in decor with a gorgeous bar area. The name Rula Bula (shorted from “rí rá agus ruaille buaille” in the Irish Gaelic language) translates into uproar and commotion. The name was chosen as Tempe is such a lively town. With Mill Ave hosting various festivities throughout the year, Rula sees much foot traffic, with everyone stopping by to enjoy the upbeat atmosphere. As for the menu lineup, it’s a mix of new and traditional Irish fare. Lots of delicious apps (try the spicy potato balls and Irish nachos! ), traditional fare like Shepherds Pie, Bangers N Mash, and Fish n Chips. The Irish Mac and cheese is quite delicious. The nice thing about Rula is that they offer a great selection of vegetarian alternatives i.e. 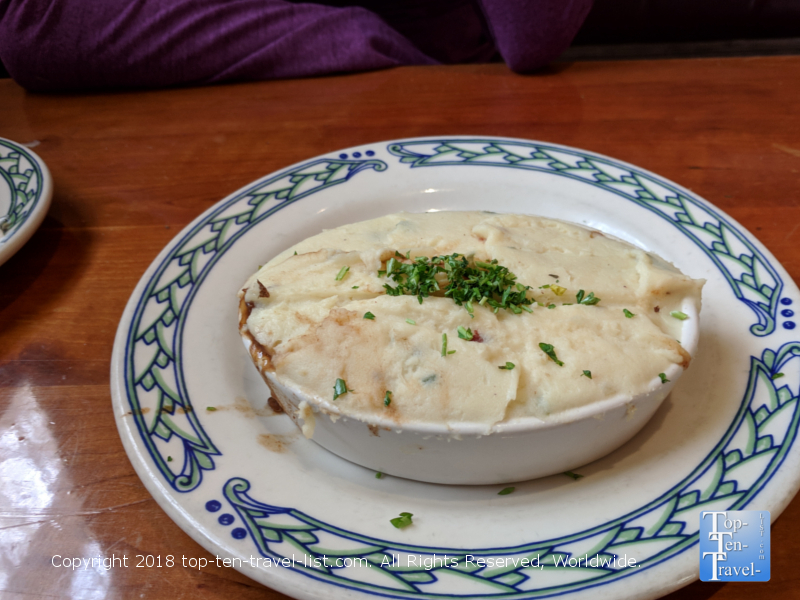 Vegetarian Shepherd’s Pie. The mac and cheese is well worth the extra calories! 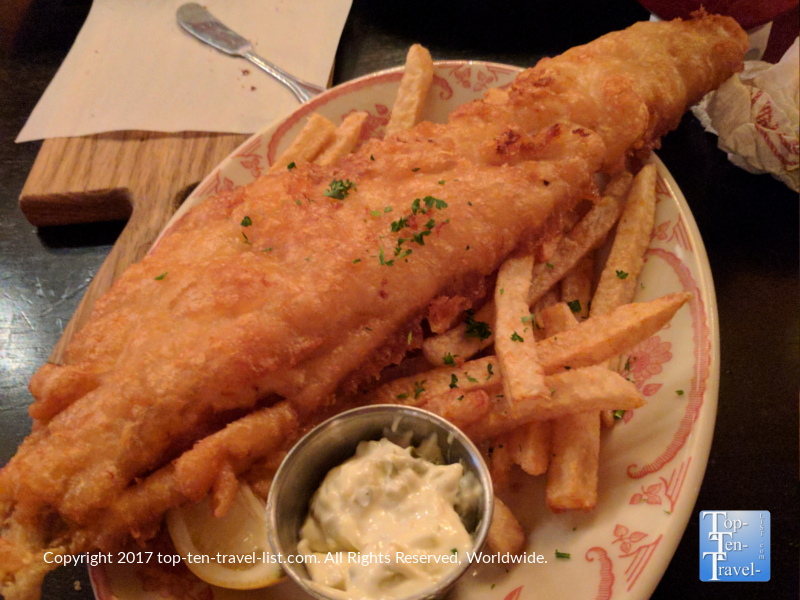 Best Fish and Chips in the Phoenix area! If you have a sweet tooth, why not treat yourself to a Guinness shake (Guinness blended with ice cream and dark/white chocolate sauces) paired with a Guinness Brownie, featuring triple chocolate and Guinness, served with a scoop of vanilla ice cream. 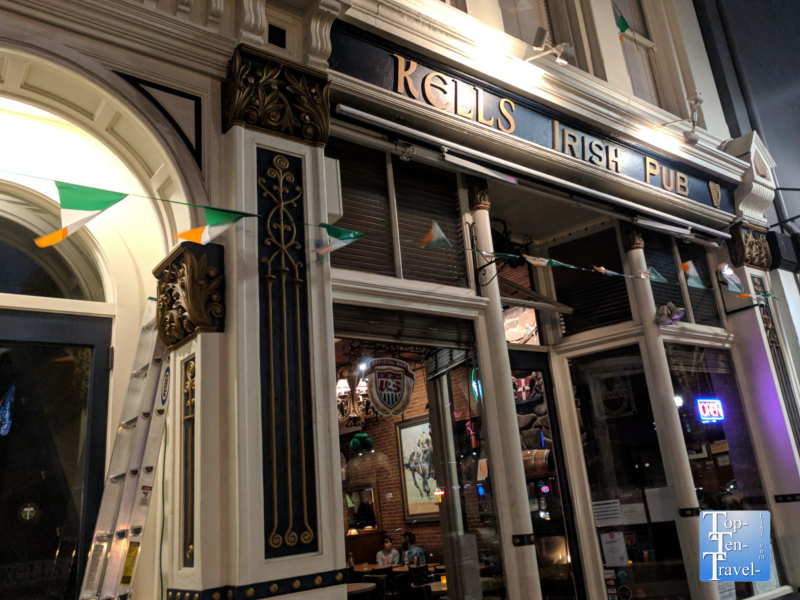 Kell’s Irish pub is one of the favorite long-standing downtown Portland establishments, amongst both locals and tourists. 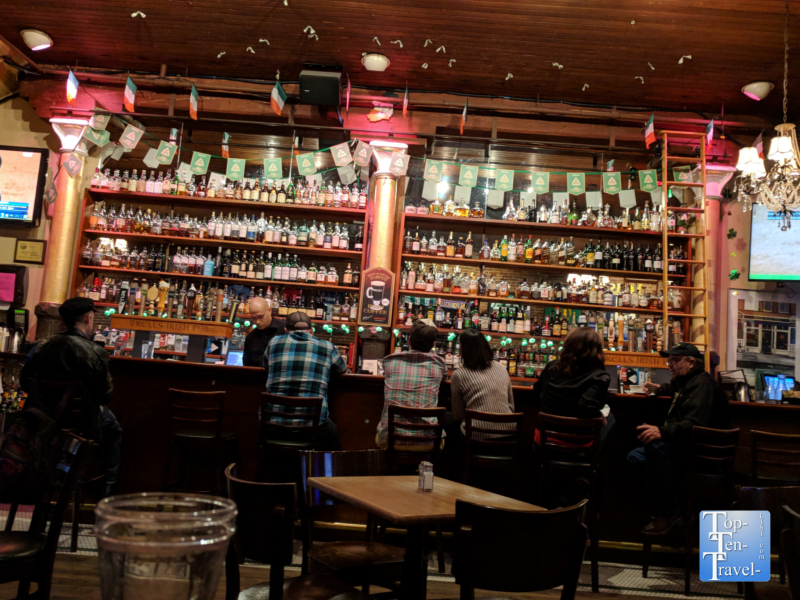 This lively Irish restaurant, which was founded in 1983, features beautiful decor, a fantastic menu, and a great lineup of entertainment, 7 days a week. Kell’s is unique in that they offer both traditional Irish fare along with plenty of vegetarian and gluten-free options, in keeping up with Portland’s health conscious theme. There is a big emphasis here on local, organic ingredients – even the ketchup is organic! Must try’s include Kell’s Irish Nachos, Fish & Chips, Butternut squash and Barley Risotto (an excellent vegetarian option! ), and the Jameson Chocolate Pot (a dark Belgian chocolate custard with Irish whiskey and shortbread cookie) for dessert. These nachos probably have a million calories but they are soooo worth it! 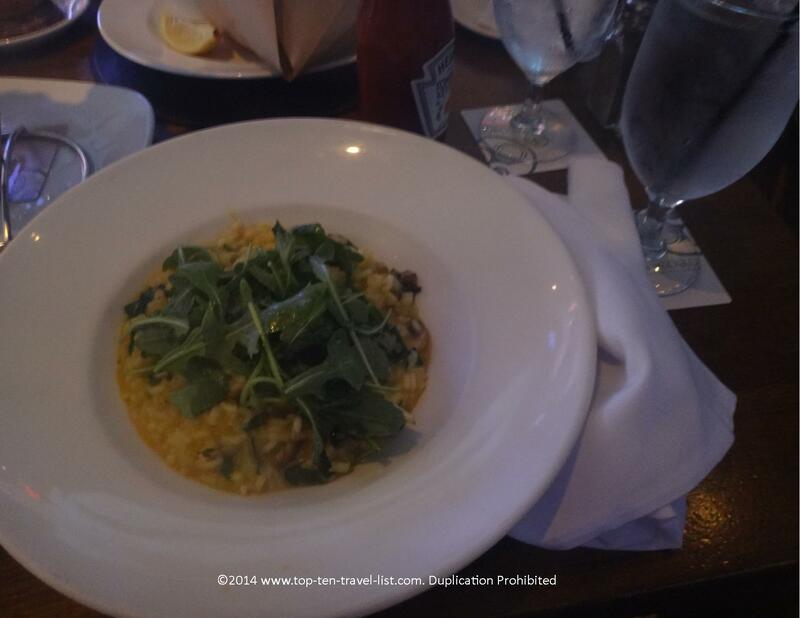 Excellent risotto – a great vegetarian choice! Cozy wood tables, a large fireplace, and exposed brick walls give Kell’s a super cozy feeling which is just perfect on those (almost constant) dreary Portland days. When you enter the pub, you will notice loads of money stuck up to the ceiling. Kell’s has a unique tradition of collecting donations throughout the year and putting the cash up on the ceiling. The ceiling is swept every St. Patrick’s Day, with proceeds being matched, and then donated to charity. Last year they raised over 13,000 for the Providence Children’s hospital! 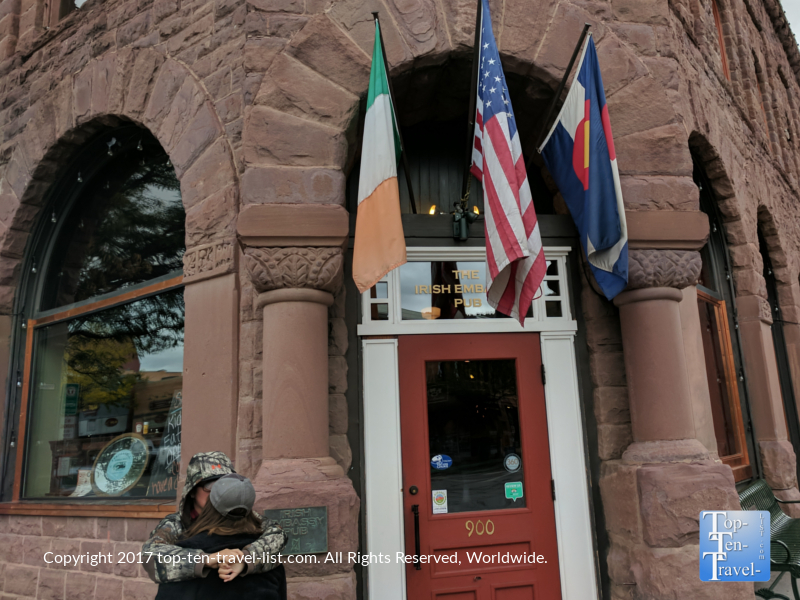 The Irish Embassy Pub is located in historic downtown Durango, and is the standout option amongst dozens of tempting eateries. Durango has become a popular foodie destination, and thus, has no shortage of fantastic local restaurants. This pub is truly authentic with everything shipped directly from Ireland, from the glasses, to the furniture, to the art work. 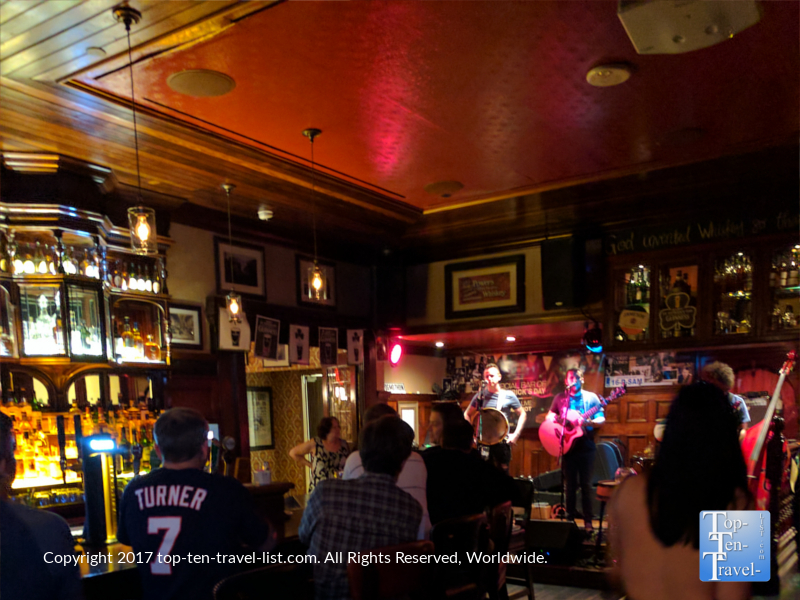 Live traditional Irish music is often on the lineup. 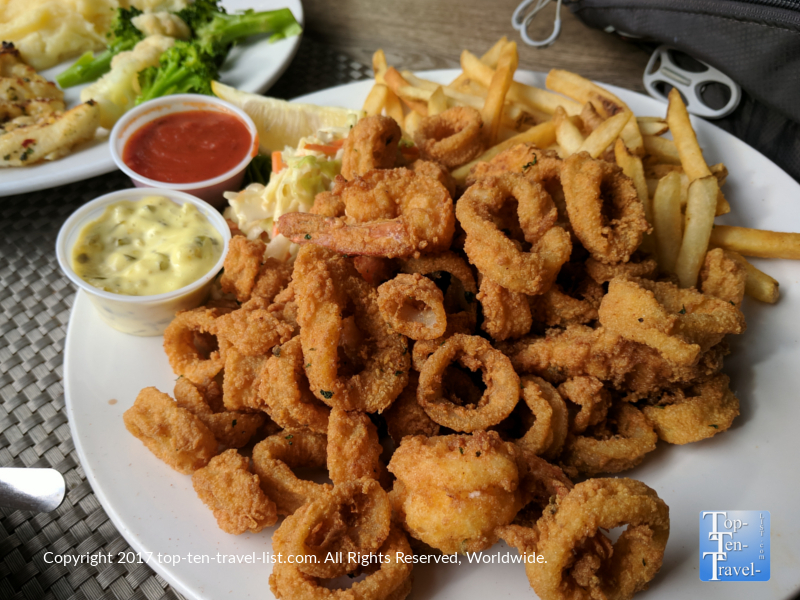 Whether you feel like relaxing with a pint of Guinness or treating yourself to some tasty appetizers and a huge platter of Fish N’ Chips after exploring all the wonderful nature attractions in the area, The Irish Embassy Pub has you covered. The Happy hour deals are pretty great, and include 20oz beers for just $3.50, along with various appetizer specials. The mac and cheese here is hands down one of the best I’ve ever tried. The potato leek soup is top knotch -the perfect starter on a cold winter day. 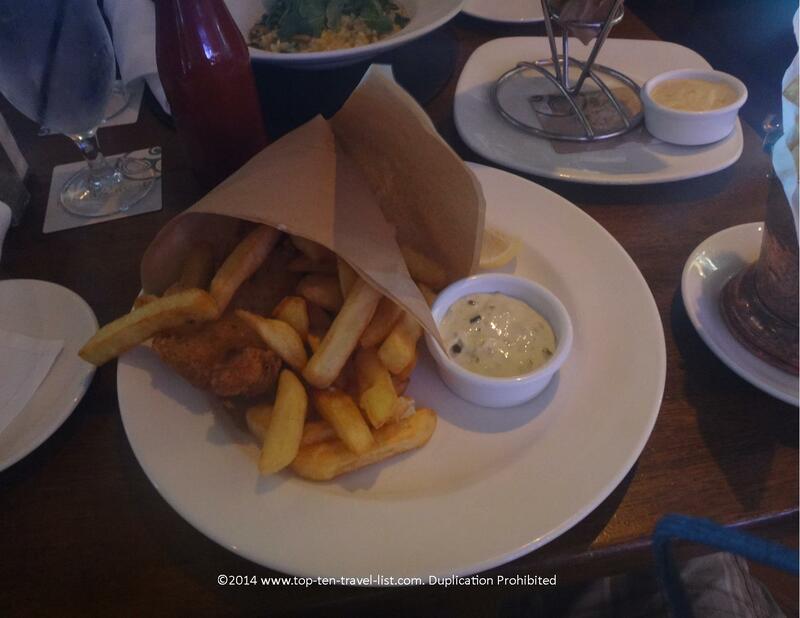 Of course, you can never go wrong with good old fashioned Fish and Chips. Unlike many Irish pubs, Irish Embassy offers amazing veggie choices. I love the wide selection of vegetarian dishes, from Vegetarian Curry, to a Veggie roasted butternut squash sandwich, to a 3 cheddar mac and cheese dish! The creamy mac and cheese, featuring Irish cheddar, is seriously the best! Although it’s listed as an appetizer, it’s definitely filling enough to be a meal! 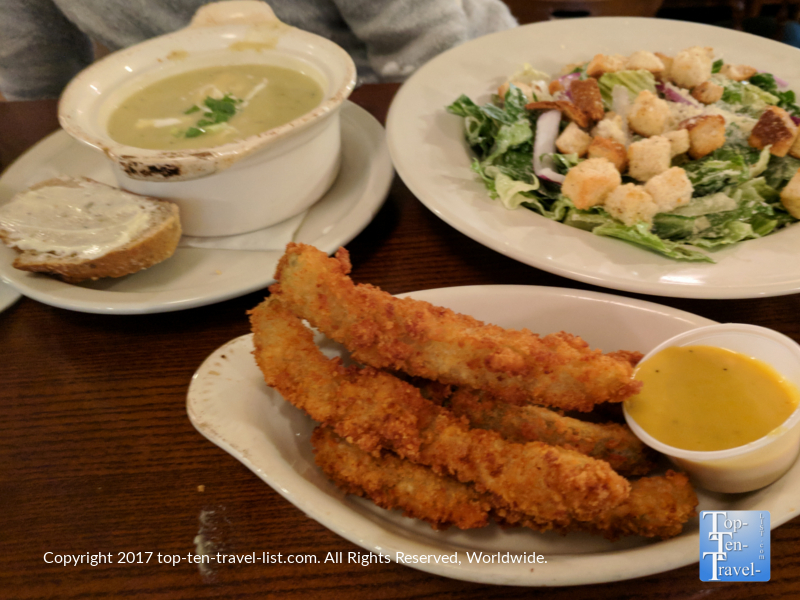 Fried pickles, awesome potato leek soup, and a delicious Caesar salad with homemade croutons and dressing. 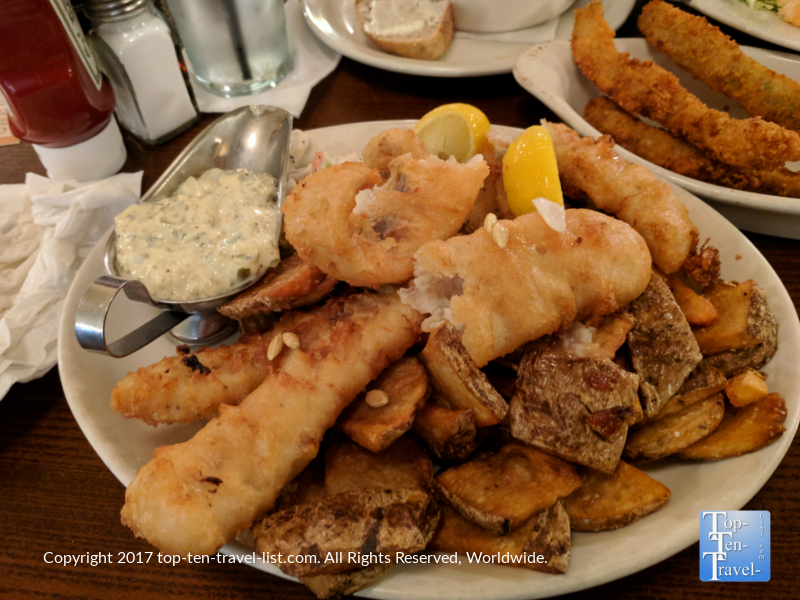 Check out this huge platter of Fish and Chips! 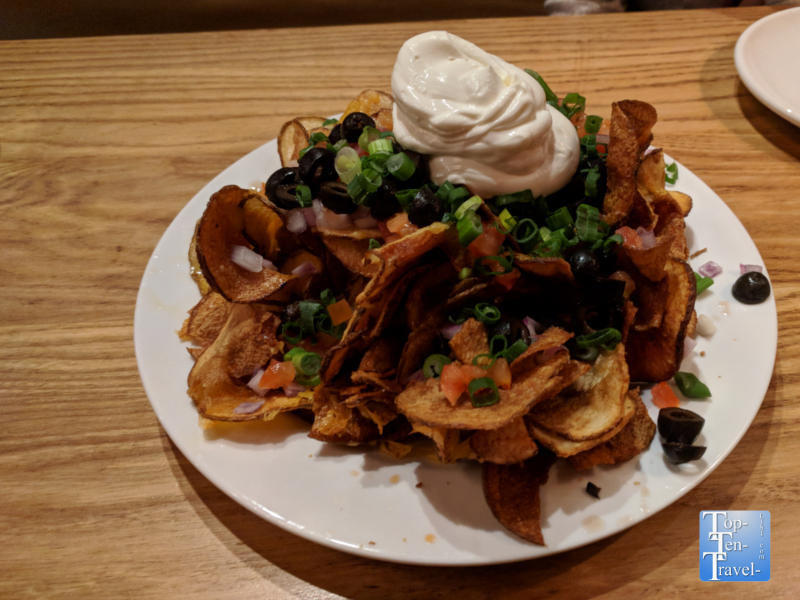 So many great apps here- curry chips, avocado and spinach dip, Irish chips, fried pickles, Irish style nachos, buffalo style devil eggs, fish tacos. Overall, the Irish Embassy is a great place to simply enjoy a few drinks and a bunch of not-so-good-for-you, yet super tasty appetizers. 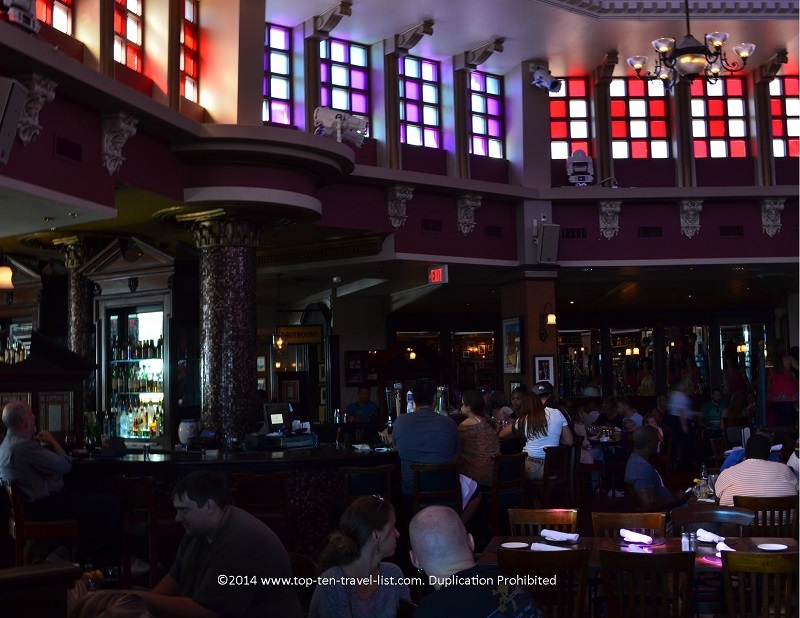 Ri Ra is one of numerous Irish pubs on The Strip, this gem located inside the beautiful Mandalay Bay casino resort. 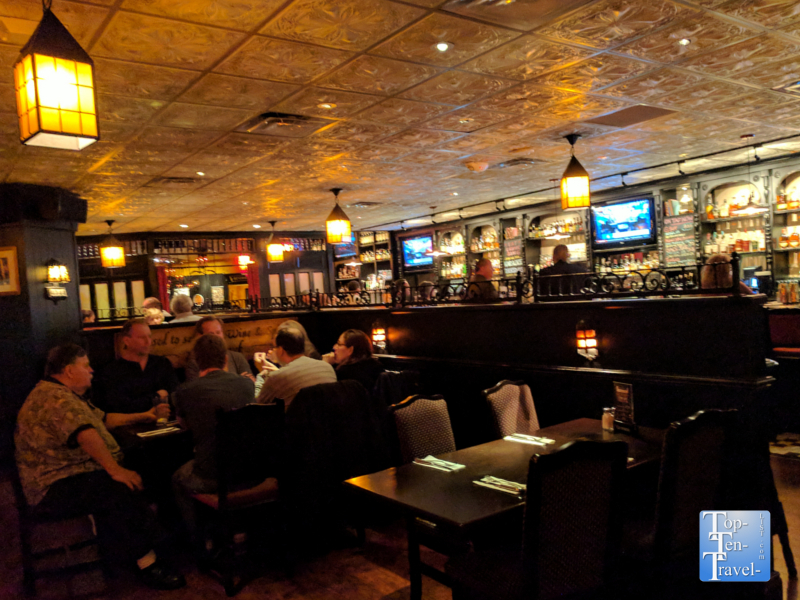 If you are looking for a fun place to enjoy some live entertainment, tasty food, and just kick back and relax for a bit before returning to all the crowds and commotion on The Strip, Ri Ra is a great choice. 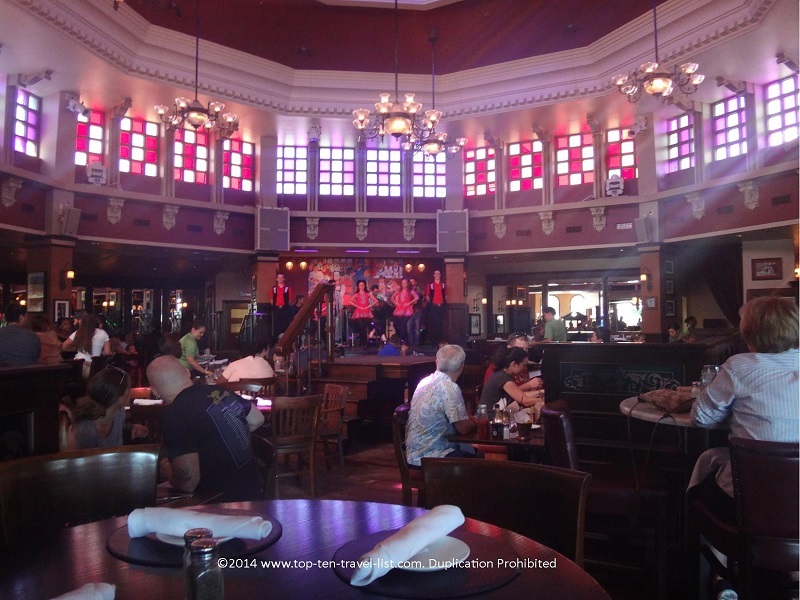 The pub was restored in Ireland and shipped to Vegas. The atmosphere here is very lively, keeping up with the fun Vegas vibe. 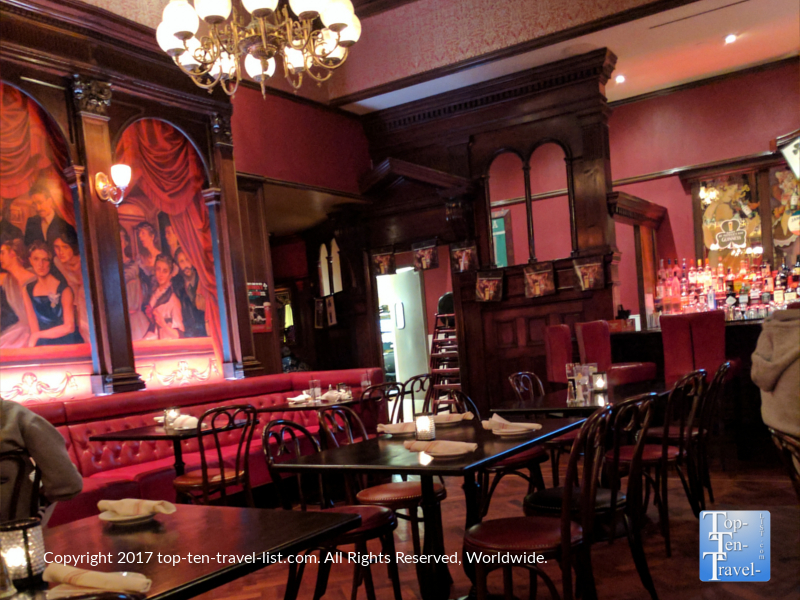 You will find several unique bars here including a beautiful Victorian pub modeled in 19th century Dublin style and built using salvaged material from Ireland. A 500 pound statue of St Patrick, made of plaster, stands out boldly. 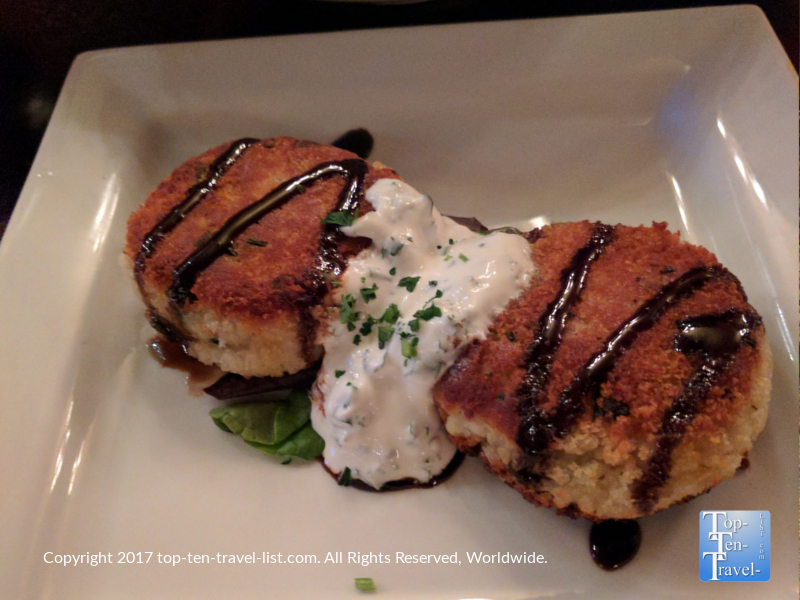 Must try’s here include the Potato cakes appetizer, the delicious house made Potato Leek Soup, and of course, the Fish and Chips. 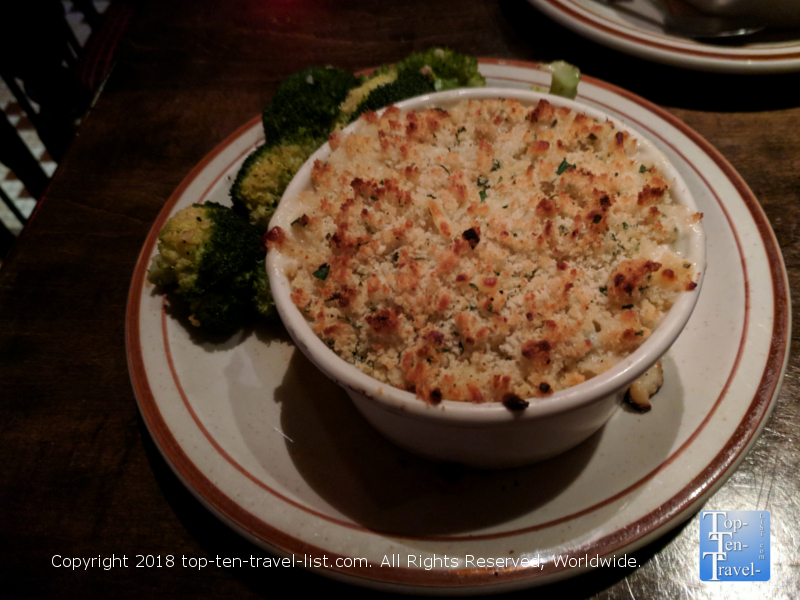 The menu at Ri Ra is pretty diverse with options for everyone, from an all day Irish Breakfast Plate, to a Beef & Guinness Stew, to a Vegetarian based Mac and Cheese topped with mushrooms and herb toasted crumb topping. 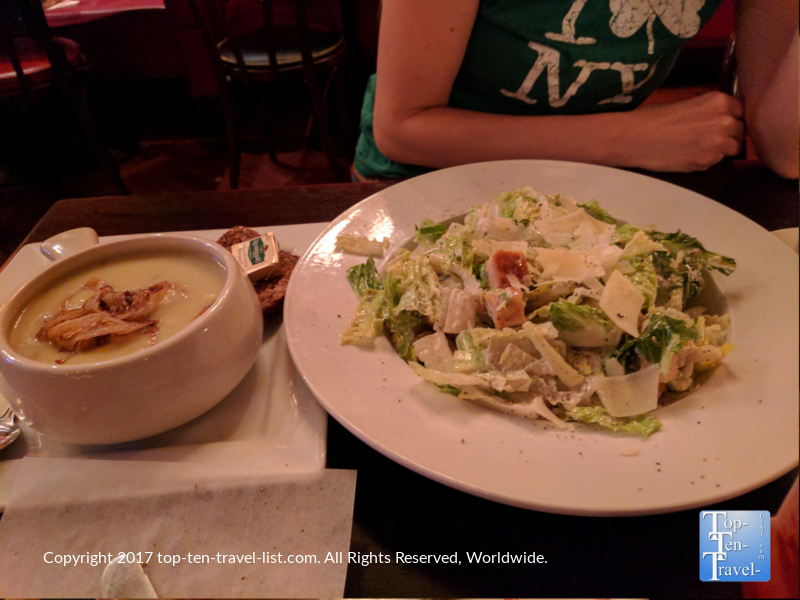 Delicious Irish Leek soup and a giant Caesar salad! The potato cakes are definitely the best appetizer around! Large battered Haddock with delicious homemade fries! If you are looking to party for St. Patrick’s Day in Vegas, Ri Ra is the best place to do so in Sin City as they offer a full week of Irish themed entertainment. The Mohegan Sun is a gorgeous 5 star resort and casino in Southwestern Connecticut. The property is very popular with New England city dwellers seeking a weekend escape from the traffic & commotion. However, it’s also a wonderful vacation destination as there are so many amenities on-site, and also it’s an easy daytrip from numerous natural attractions including Connecticut’s beautiful beaches. 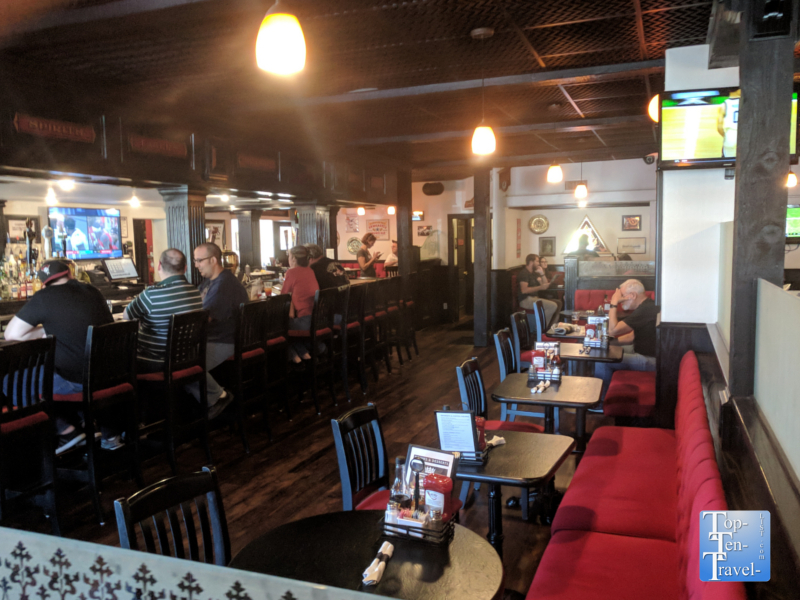 The ambiance of Lansdowne is very cozy, being that it was modeled after a traditional Irish public house, which is a place where the community can gather, socialize, and relax. On any given weekend, various events such as live music and karaoke are sure to be on the lineup. 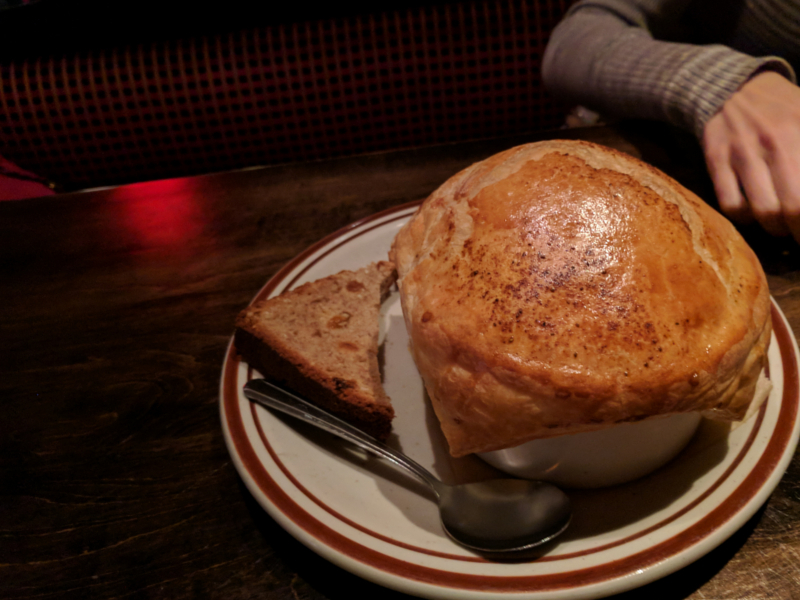 The Lansdowne is most famous for their pot pies, available in chicken, lamb shepherd’s pie, and seafood. The Irish cheddar mac and cheese is a great choice if you are seeking a totally comforting dish. And for a dessert treat yourself to something different like a slice of Irish creme cheesecake! A delicious, creative seafood pot pie! 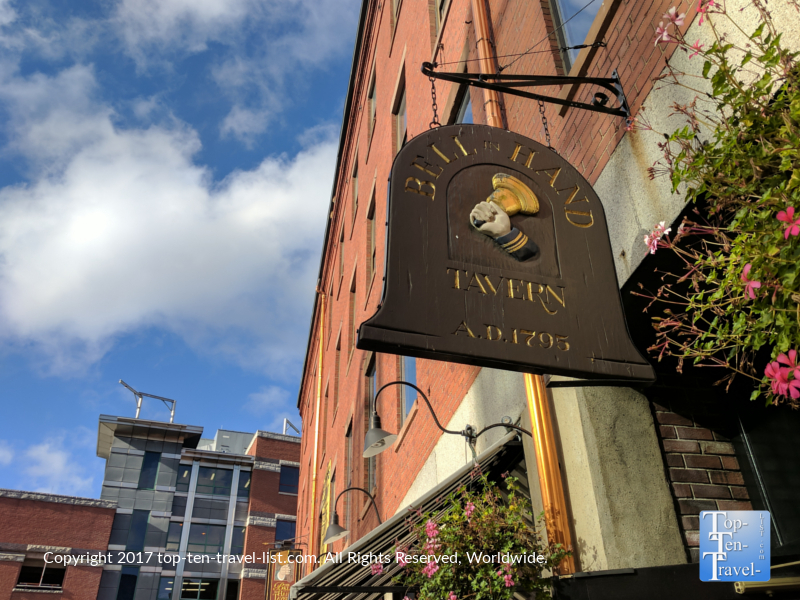 Although not technically an official Irish Pub, The Bell in Hand Tavern in downtown Boston serves up some great Irish style foods including the best fish and chips in town. The tavern puts on a pretty great St. Patrick’s day party every year. 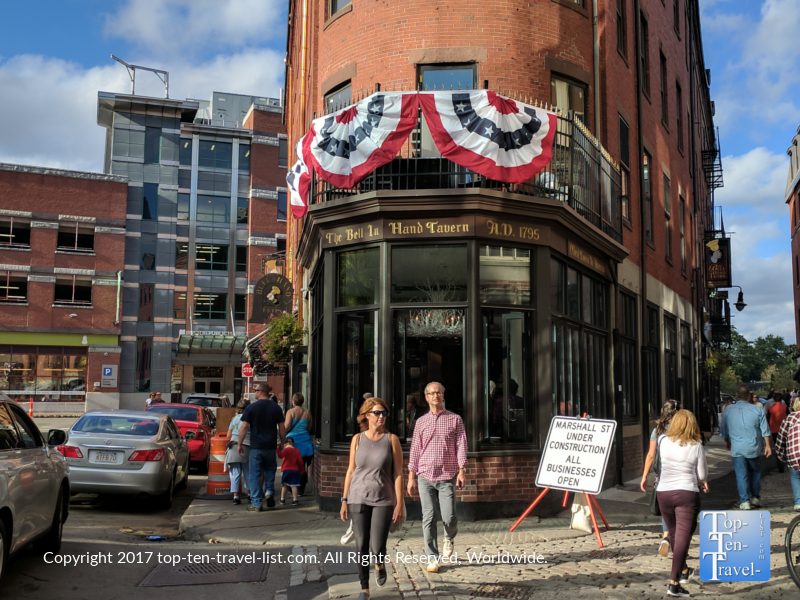 Bell in Hand is officially the oldest tavern in America, having opened in 1795. 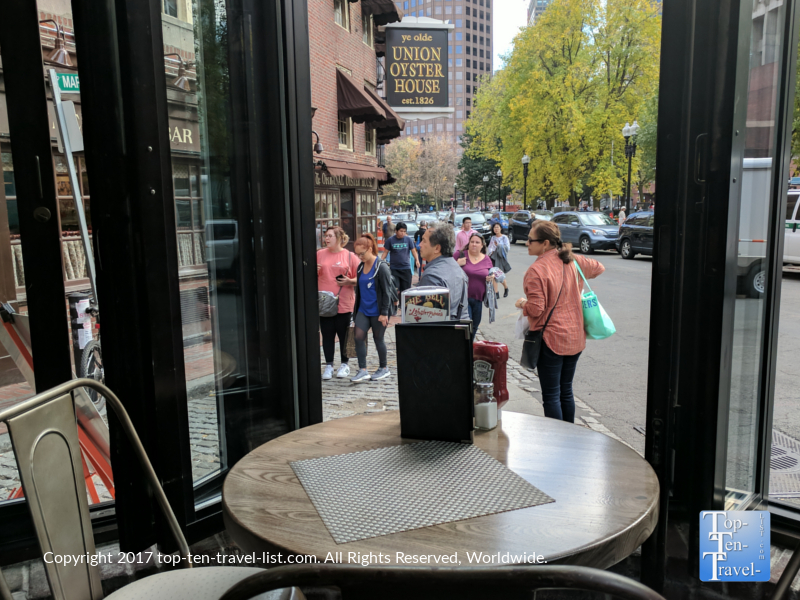 The gorgeous design and big windows overlooking the beautiful North End make it a worthy contender on any trip to Boston. Bell in Hand is located right in the center of all the action. It also makes for a great break after several miles on your feet exploring the Freedom Trail. 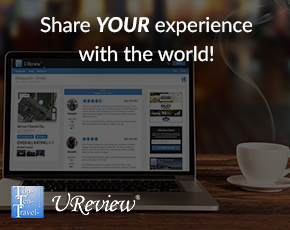 Great place to people watch – especially during the busy summer season! The first owner was Jimmy Wilson, Boston’s town crier for 50 years. After he retired, he proceeded to open a tavern and name it in honor of the profession he was so proud of. He refused to sell whiskey and gin as other taverns of the day, serving only ale. The tavern became famous for its’ ale which was so thick that it had to be served in 2 mugs – one for the ale and another for the froth. No surprise that most of the menu is comprised of quality seafood. 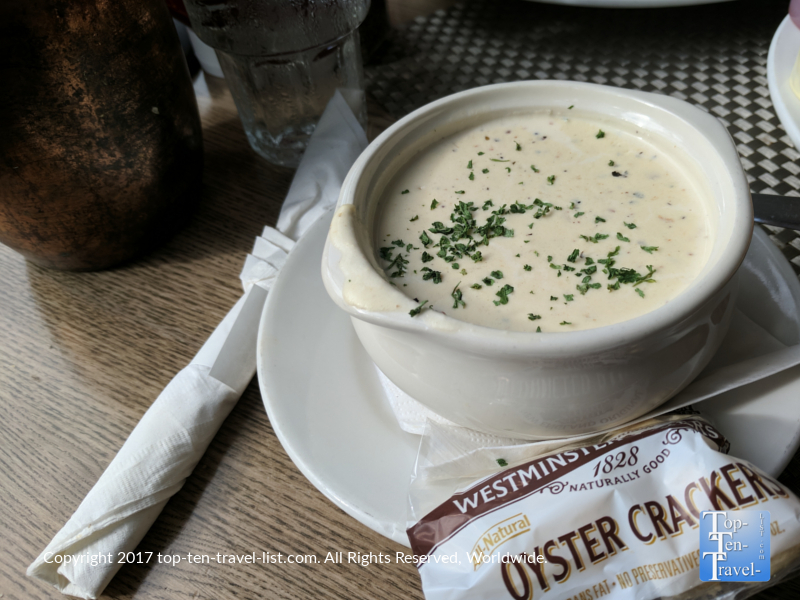 From homemade clam chowder, to Blue Point oysters, to lobster roll, and of course fish and chips, this is the place to go for seafood lovers. And if you wish to cap your meal off with something sweet, you cannot go wrong with a slice of classic Boston creme pie. The Fisherman’s Platter is the absolute must try here. 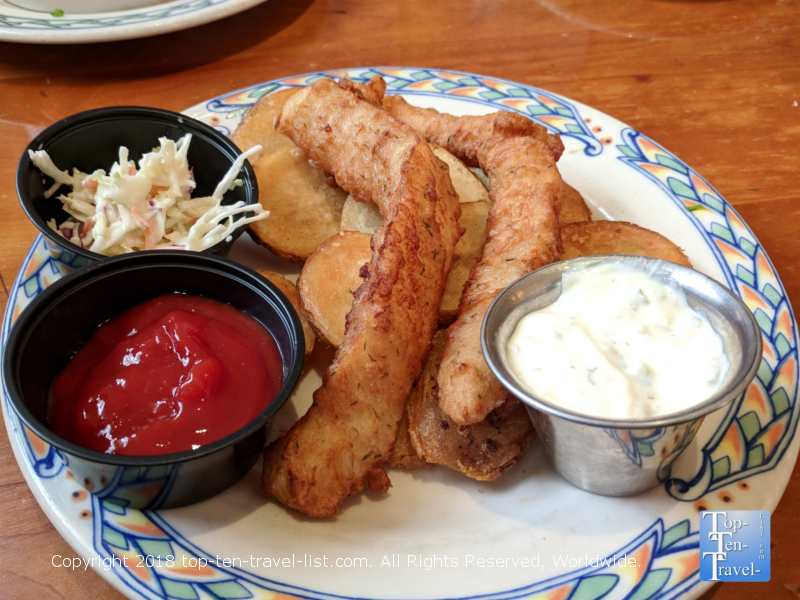 This massive sized appetizer includes fried shrimp, haddock, calamari, plus french fries and cole slaw. 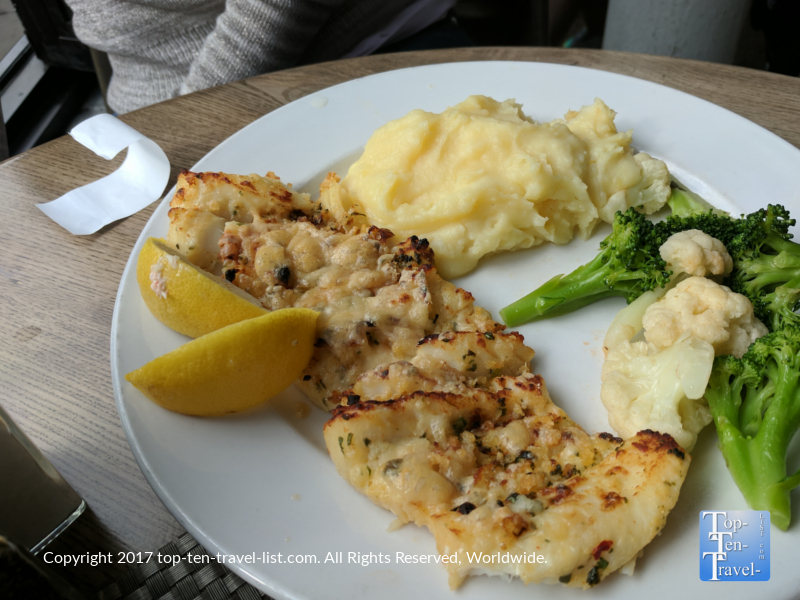 The baked haddock served with delicious creamy mashed potatoes and vegetables is a great light choice for anyone seeking a slightly “healthier” dish. And you really cannot leave Boston without at least one good bowl of homemade clam chowder! 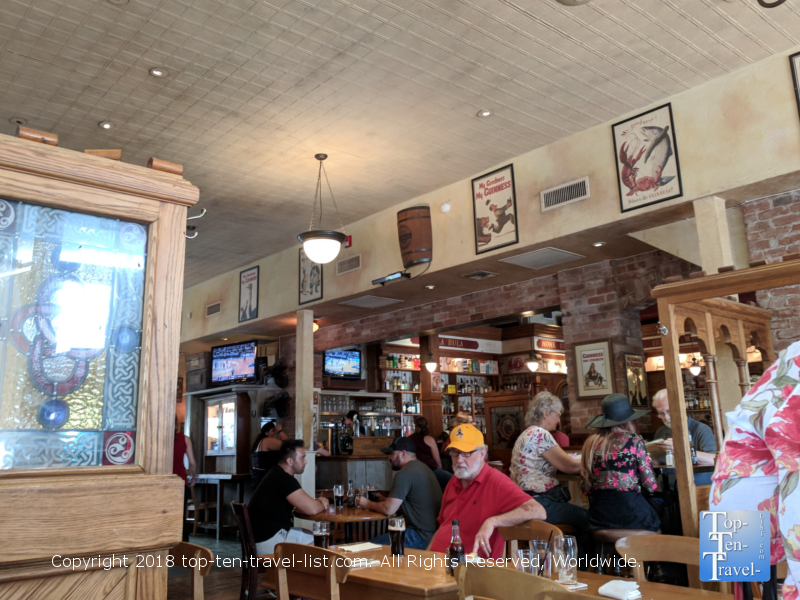 Although technically a British pub, this Tucson favorite also serves some tasty Irish style food and puts on a festive St. Patrick’s day celebration each year following the annual parade. Everyone comes in post-parade all decked out in their green gear, the bar is decorated, and the atmosphere lively and local – it’s a great time. 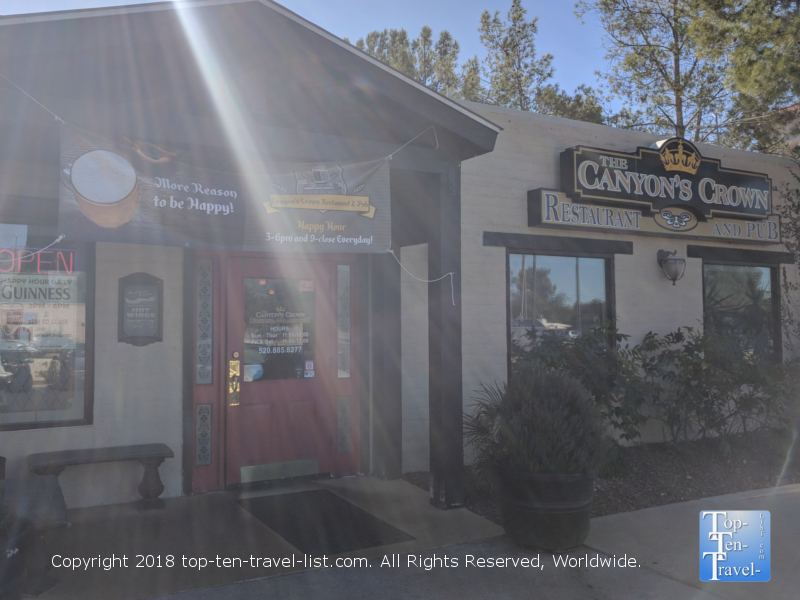 With 20 drafts, 10 flat screen TVs, NFL Sunday ticket, and great happy hour deals, The Canyon Crown is a great place to catch any sporting event. Canyon Crown is known for pouring the best Guinness in town and they also offer 7 different Guinness blends. A nice laid-back ambiance for catching the game! 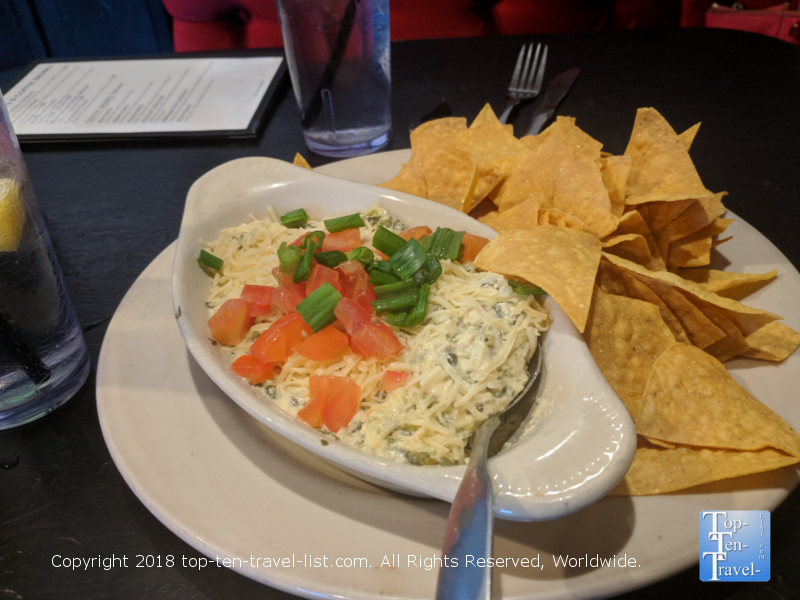 Start off with some Irish nachos or the delicious Spinach and Artichoke dip. Then treat yourself to the best fish and chips in town or a creamy, comforting heaping plate of mac and cheese. The spinach artichoke dip is the perfect satisfying starter! 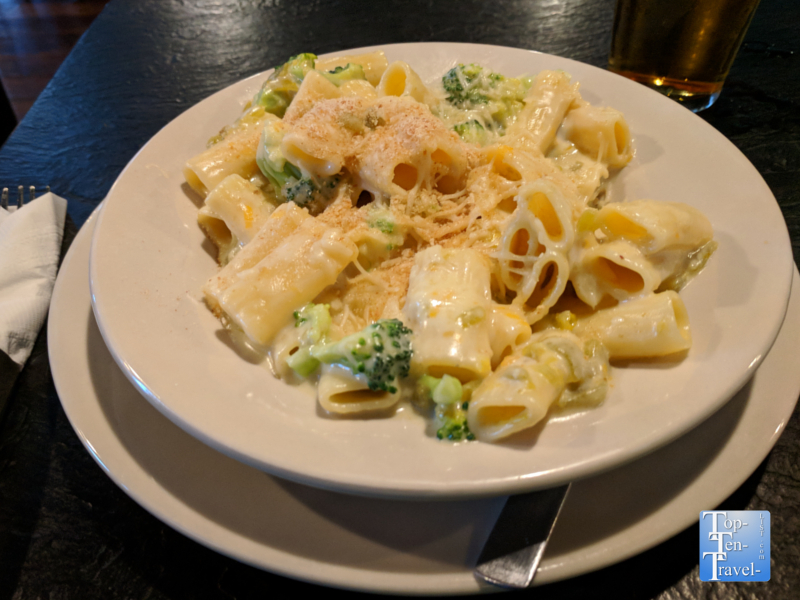 Canyon Crown serves the creamiest mac and cheese in Tucson!